Energy-saving light mentioned, we are no longer strange, as to enhance people's consciousness of environmental protection and energy saving, energy-saving lamps is gradually replace incandescent lamp, plays an important role in our daily life, at present, in the world has also contributed to a tide of sales. But in the process of people in the use of energy-saving lamps, often due to improper use of energy-saving lamps produced a "save electricity don't save money" misunderstanding. Baixin lighting show you know the energy-saving lamps in detail, and teach you how to correctly use the energy-saving lamps. First of all, let us know the what is energy-saving lamps! Since simulated flight, the human society has experienced from plant oil lamps, kerosene lamps to incandescent lamp, fluorescent lamp, the long historical process. (drill first) with the wide application of energy-saving lamps and the advent of, originally only meet the demand of people lighting lamps and lanterns, has developed into a set of energy-saving, environmental protection and adornment beautification, and other functions into one, added many color for people's life. So what exactly is energy-saving lamps? Energy-saving lamps scientific name is called the ballast fluorescent lamp, also known as light bulbs, electronic light bulbs, compact fluorescent lamps, etc. It like incandescent lamp and fluorescent lamp, lighting equipment, but it combines the advantages of the incandescent lamp and fluorescent lamp, fluorescent lamp and ballast combined into a whole, not only small volume, convenient use, no stroboscopic phenomenon, but more important is the high light efficiency, less energy consumption, save electricity and energy saving. Incandescent lamp is composed of glass shell, filament, lamp holder and other components, fluorescent tubes, inductance ballasts, the starter, lamp parts, such as foot inside the tube filled with a certain amount of inert gas argon and small amounts of mercury, the inner wall of the tube coated with halogen calcium phosphate phosphors, and energy-saving light from the lamp holder, lamp shell, electronic ballast and lamp parts, such as inside the tube is also filled with argon gas and mercury, the difference is its inner wall coating is high luminescence properties of rare earth tricolor phosphor powder. 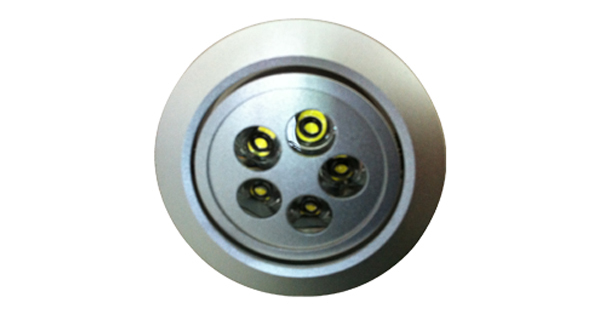 Metal part of the lamp holder is the most upper energy-saving lamps, lamp is connected with the power of the body. Lamp shell is located in the bottom of the lamp holder, the flame retardant heat of PBT and PC material, is the light body skeleton and protection, will light the parts tightly together. Is a key part of the energy-saving lamp electronic ballast, hidden in the interior of the lamp shell design, it is through its role, the ordinary alternating current (ac) is turned into light bulb of high frequency high voltage of 20 ~ 50000 hz. Under the lamp shell and lamp shell connection is part of the bulb.